Agatha Christie’s novel, published in 1934, is considered one of the most ingenious stories ever devised. The novel revolves around a murder on board the famous train. 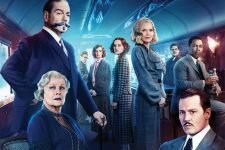 Belgian detective Hercule Poirot must solve the case, but there are a number of passengers who could potentially be the murderer. In addition to directing the film, Branagh, a five-time Academy Award®-nominee, will star as detective Hercule Poirot. Depp portrays Ratchett; Pfeiffer is Mrs. Hubbard and Ridley plays Mary Debenham. 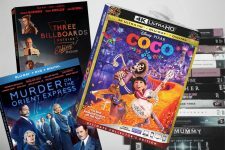 Featuring Coco, Murder on the Orient Express, Three Billboards Outside Ebbing, Missouri and more! Featuring The Florida Project, Daddy’s Home 2, Thor: Ragnarok, Orient Express, and more!